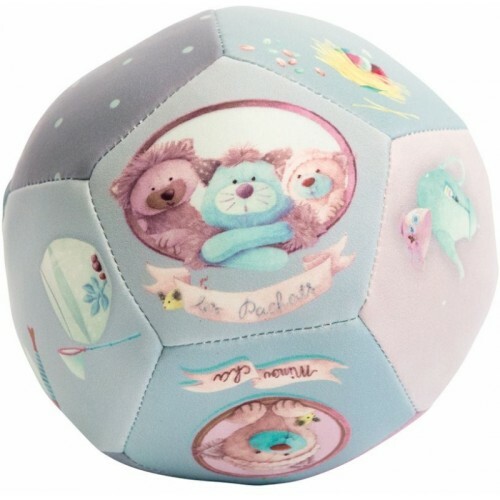 Baby's first ball with Les Pachats illustrations by Moulin Roty. This ball in soft hues of grey and purple is a lovely soft ball, perfect for that first game of catch. Yup at around six months you can already start rolling the ball back and forth. Just the beginning of a life long love of playing together.